How to Do Foundation in Waterlogged Area? 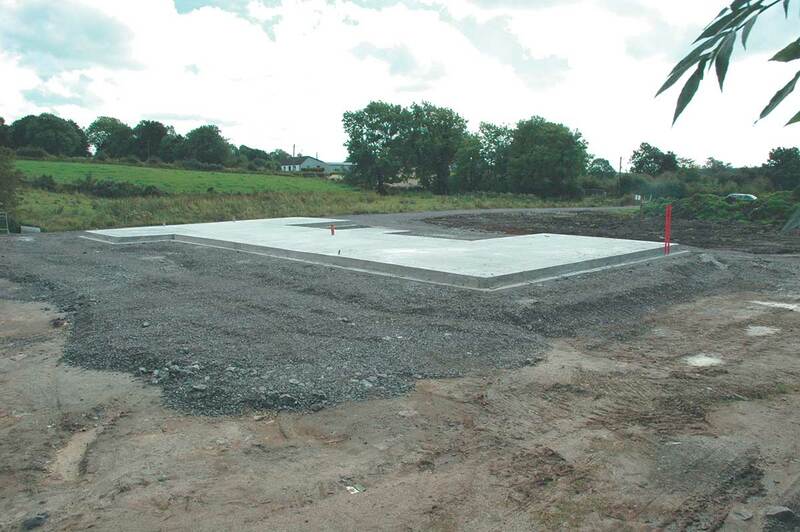 Foundation is a crucial component of the structure that transfer the loads of the building to the ground. Almost all People always want to construct a house which provides a long and maintenance-free service life. Keeping this thought in mind, they follow all the quality criteria while constructing a house. But sometimes, they face the problem like water logging during the construction of foundation, i.e. there is water in foundation pits. What is Water Logging and How it Occurs? The rainwater or groundwater saturates the soil by replacing the air voids with a water. This also happens when the water table is very high. i.e. water is there at few feet/meter from natural ground. This happens where there is huge rain fall or in area near to sea, river, large lake, water bodies, etc. When the soil is fully saturated, additional water will rush into foundation pit creating problem of water logging. If you do concreting here in a normal way, the water will wash the cement and concrete will be of no use. Dealing with rainwater is much easier than the groundwater. During monsoon, when rain stops, you can easily remove water from the waterlogged area, and you can carry out excavation and foundation RCC work. Pouring concrete during rain needs many precautions. Read tips to pour concrete during the rain. But ground water is a major issue as there would be higher flow of water, and perhaps continuous. 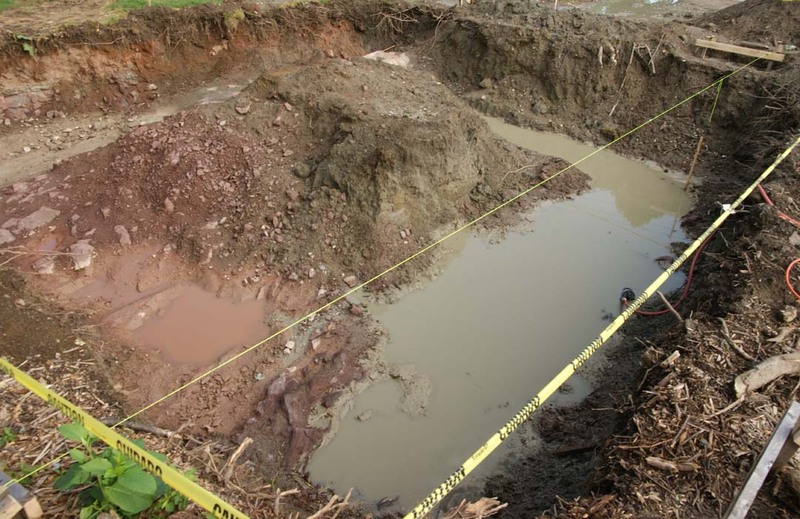 Because of the high flow of water, the foundation pit remains continuously flooded with water. Working in continuously flooded water is a very challenging task. During the foundation work, water logging causes the problem of mud or may cause the dislodging of side soil. Whatever may be the reason for water logging either it is due to the rain or groundwater, in both the cases, quality of construction work cannot be easily achieved, particularly when soil is clay, silt or mix of clay, silt and sand. Which Problems Occur due to the Water Logging? Here are useful tips which will help you to carry out construction work in a waterlogged area. Surface water is not the major issue. Surface water logging can be easily drained out by providing a marginal slope to the ground. Filling of the good soil at the uneven surface can be helpful to overcome the problem of water logging. Remember that water should be drained out before filling the good soil at the site. If the water table falls within the depth of excavation, the depth of the foundation may be decreased up to the top level of water table, and the size of foundation should be increased. But minimum depth of foundation should be provided or foundation should be rested on good soil. By doing this you can avoid water logging. It is must to contact a well experienced structural engineer to check the feasibility of this kind of foundation design in such a waterlogged area. Alternate wetting and drying of the soil is not the favorable condition to rest the foundation. i.e. Generally, the water table is high during monsoon, and it gets lowered during the dry season which causes the uneven settlement of soil. This uneven settlement of soil badly affects the structure. In such case, rest your foundation at the depth where the soil is either completely dry or completely wet, so that it is safe from alternate wetting and drying. So, decide your level and foundation accordingly. In the waterlogged area or where water is encountered, the foundation work should be carried out in a very systematic manner. Foundation should be excavated one by one otherwise you will have to face this problem. Provide sufficient slope at bottom of foundation pit so water can be directed towards the sump which can be located at the corner. Remove water from the sump by deputing labors. You might have use mud pump continuously to drained out the water. Finish the RCC work of one foundation and then start the excavation of next foundation. If you start the excavation on the whole site, you mess up the whole area due to the water logging and you have to deploy the extra labors to do the activities like mud cleaning, frequent repairing of the muddy road, removing collapsed soil/mud, etc. The higher working space should be considered while excavating the foundation pit. Higher working space will facilitate you to construct the sump and drain at the bottom periphery of the foundation. The drains collect the excess water of excavated pit and transfer it to the sump, from where water is drained out manually or by means mechanical pump (mud pump, anti-clogging pump). Suppose you have to excavate up to 7 feet and water table is at 6 feet. On first day excavate up to 5 feet only so that water does not enter. Next day excavate 2 feet, do sand filling/PCC and also do footing. Keep everything ready for doing that fast. Idea is to complete the work fast, so that water does not accumulate in large quantity. If needed run pump all throughout work. Repeat this process one by one for each footing. Add lime in the bottom 1’ 0” of muddy soil, rather than excavating it and when it is difficult. Stabilization of soil with 2 to 5 % of lime will help to stabilize the soil and reduce the entry of water. You can also use cement, fly ash, aggregates, etc. to overcome the problem of water logging. In the case of higher water pressure, the soil stabilization will not be effective and suitable. Sometimes sand is also sprayed over the muddy surface in the layer of 100 to 200 mm thickness. Sand layer filters the mud and allows clean water to enter in the pit without higher flow. This provides mud free platform to work in the foundation pit. We very well know that working in fresh water is far better than working in the muddy soil. You can do immediate PCC over it. By doing these 2 layer, you will automatically come 150 to 200 mm above where water may perhaps not come. In case of groundwater with high flow, make a layer of PCC 1:3:6 or sand 250 to 300 mm. There are different methods of dewatering that are used to remove the water from the water-logged area. We have already discussed the different types of dewatering methods and their use in construction. Generally, these methods are expensive for small work. Constructing a foundation in a waterlogged area becomes hassle free when you know the aforementioned tips. Generally, water is not a big problem, it is the mud that bothers everyone. Water can be easily drained out with the pump but the mud causes lots of trouble. Sometimes even mud pump also fails to drain out the muddy water from the waterlogged area.